I am looking into getting a Camellia sinensis to make tea, but I tried to find out if I can make tea out of my Camellia sasanqua. Have you heard of making tea out of other Camellias besides Camellia sinensis? There are up to 250 species of Camellia depending on the botanist who is counting. While the best species for tea is Camellia sinensis, other species can and are used for tea. The more common species used for tea are C. japonica, C. reticulata, and the species you have growing now, C. sasanqua. While these Camellia leaves can be used by themselves (and I would try it by itself for sure), they are typically added to C. sinesis for additional flavor or aroma. There are a number of varieties of each Camellia species. Many of these, especially in the U.S. were developed for flowers and not for tea. This doesn’t mean that you cannot use your leaves, it just means that your leaves may not be as tasty as another variety. I wonder if you know which variety you have. C. sasanqua is most common with pink/red or white flowers, but there are many varieties out there. 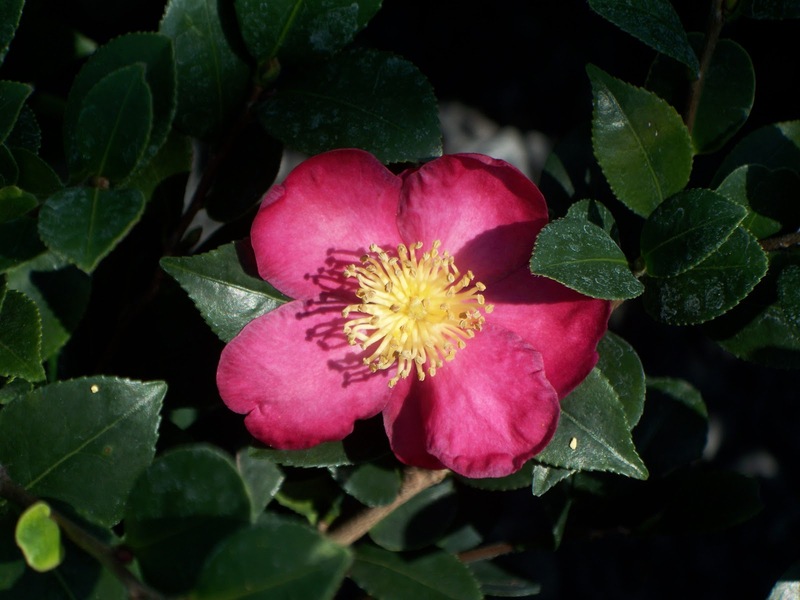 Here is a great link to growing and making tea at home from the American Camellia Society. Also, if you are looking for additional uses for your plants, all the Camellia species I named above, as well as a number of others (especially C. oleifera), are used to produce tea seed oil (not to be confused with tea tree oil which is not really edible). The oil is obtained from cold-pressing mature seeds. This is a common cooking oil in China. In some locations, it is the most common cooking oil. It has many of the health benefits of olive oil, but it has I much higher smoking temperature, so it can be used to fry foods as well. Sounds like a pretty great cooking oil to me. Now you’ve got me wanting to try it! Finally, I must add that this question was fantastic, because it made me realize/remember that I have a couple C. japonica in my yard right now. I will be trying to make some tea this weekend! Best of luck. Keep us posted! I have recently been getting more and more questions from readers, and I have tried to keep up and individually respond to all of them. I have been getting a bit behind. Because so many of these questions are really good, I thought I would start sharing them when I get the chance. So please, ask your questions! I’ll do my best to give a good answer.